(Be sure to see my Background and Education below!) I'm one of a few college professors privately tutoring in the Dallas area. I have years of targeted training in teaching methodology to back up the techniques I use to not only tutor students, but give them the confidence they need to excel. I develop a close relationship with each of my students, and adapt my techniques to each student's individual needs. I do my best to go the extra mile for each of my students, whether it's a phone call to calm nerves on test day or answering texts to go over things we discussed during sessions that the student needs clarification about. You can trust that if you hire me, I will treat your son or daughter with respect and patience, and I will not rest until we find a solution to his or her educational needs. I've taught hundreds of college students how to think and read critically, and how to write at the college level. I've worked with students with learning disabilities and some who just suffer from low confidence due to past educational experiences. I always find a way to make learning enjoyable again. When you're hiring a tutor, you want to be confident that your time and money will be put to good use. Unfortunately, many of the corporate tutoring companies hire college students to tutor your children. These students are still learning themselves, tutor as a job on the side to make extra money, and often don't have the patience needed to work with a struggling student. Other tutors have been in the workforce in a variety of fields, but their only experience with the subjects they tutor students in are having taken the same classes once upon a time in college. What sets me apart is the targeted knowledge and experience I have from teaching college-level English for several years, working to develop methods and techniques that will engage and reach high school and college-aged students. I have also developed a targeted course for the updated version of the SAT in all three sections - math, reading, and writing - that teaches students the tricks they need to score high on the test, and also provides them with skills that will translate over to the rest of their academics. Helping students succeed is my main purpose. That's why you'll find my prices to be very competitive with other tutors or services. Please see my background and education below. I know that finding the right tutor to work with is a choice not to be taken lightly. That’s why I offer free consultations to walk you through your needs, the scope of your goals, and your budget. You can book a free 1 hour consultation now, or if you're ready to get started, make an appointment for your first session. 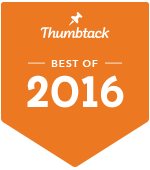 Ranked as the #1 private tutor in DFW by Thumbtack.com in 2015 and 2016. I have been teaching students in a college setting since 2012, and have been teaching Composition 1301, Composition 1302, and Business and Technical Writing at Richland College since 2013. I trained under many skilled writers and professors at the University of Texas at Dallas, including Dr. Rene Prieto, Dr. Matt Bondurant, and Dr. Clay Reynolds. I have trained in pedagogical methods, but have also developed my own methods in the classroom - methods that really work with students in their teens to early twenties (and beyond). I am also a published fiction author and former freelance copywriter and editor. See my reviews from former students to get a sense of the strong relationships I form with each student, one that lasts well beyond the time I spend tutoring or teaching them in the classroom.